“Mr. Huber with the Department of Justice and FBI has been having an investigation, at least part of his task was to look at the Clinton Foundation and what may or may not have happened as it relates to improper activity with that charitable foundation,” Rep. Mark Meadows (R-N.C.) told The Hill on Nov. 20. A scheduled testimony by Huber before Congress was postponed in response to the funeral of late President George H.W. Bush. The Clintons’ apparent conflicts were concealed and their potential culpability has been mitigated by several factors: the memorandum of understanding (MOU) reached with Obama’s presidential transition team; special government employee (SGE) waivers; and the State Department’s ethics review apparatus. The MOU was an agreement between the Clinton Foundation and the Obama transition team that outlined certain requirements for Hillary Clinton’s confirmation as secretary of state in 2009. The MOU identified a set of protocols that supposedly addressed concerns about possible foreign influence. The foundation promised to observe these protocols—including, primarily, the increased and timely disclosure of payments. These essential requirements included the annual publication of Clinton Foundation donors and restrictions on donations from foreign governments. The MOU satisfied lawmakers and the media, and Clinton was near-unanimously confirmed in January 2009. However, the MOU was violated almost immediately, and would be so repeatedly (in spirit and in letter) throughout Clinton’s tenure. For example, from the beginning of Clinton’s tenure in 2009, the Clinton Health Access Initiative (CHAI) never reported any of its foreign donors, as acknowledged by CHAI spokeswoman Maura Daley in 2015. Other significant violations include the failure to report donors annually, the failure to disclose foreign-government donations, and the failure to submit donations and speech payments for ethics reviews. Absent the blanket immunity document, every payment to the Clintons from foreign entities with interests that Secretary Clinton could influence was, at best, a potential conflict of interest and, at worst, a bribe. In addition to the tens of millions in foreign funds that flowed to the Clinton Foundation, the Clintons received tens of millions of dollars in the form of Bill Clinton’s speaking fees and consulting arrangements. Instead of these payments being reviewed by neutral or third-party ethics officials, they were reviewed by the State Department under Hillary Clinton and the process specifically involved longtime Clinton lawyer Cheryl Mills. It is worth noting that Hillary Clinton’s State Department operated without an inspector general for the entirety of her tenure—an unprecedented duration without a watchdog in place. Furthermore, Clinton granted SGE waivers to her closest staffers—such as Mills, Huma Abedin, Declan Kelly, and approximately 100 others—that allowed these staffers to work for both the State Department and other for-profit entities. SGE status is essentially a conflict of interest waiver. 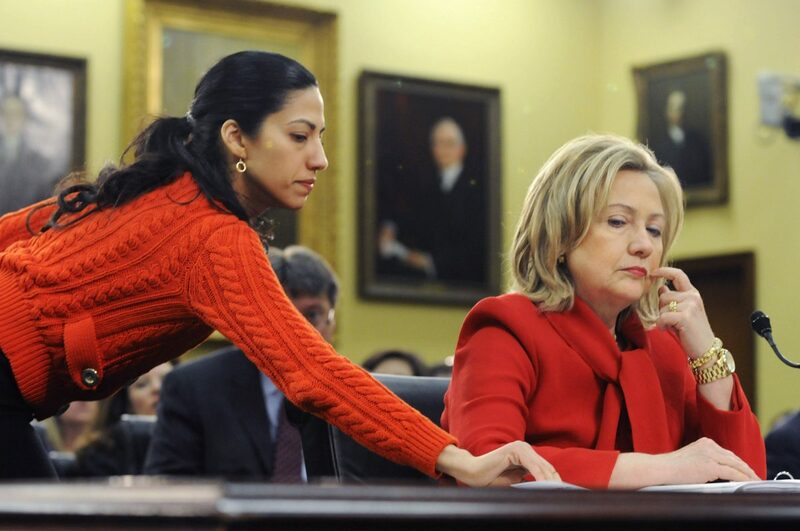 Abedin was Hillary Clinton’s closest aide at the State Department. The controversial SGE waiver allowed her to simultaneously work for Clinton, the State Department, the Clinton Foundation, and consulting firm Teneo Strategies. For example, Teneo—a for-profit firm co-founded by Doug Band—paid Abedin $355,000, while State paid her $135,000 as an SGE. Abedin frequently corresponded with Clinton Foundation and Teneo executive Band and helped grant favors to Clinton Foundation donors and Teneo clients. Band admits in the memo that Teneo clients were encouraged to make donations to the Clinton Foundation. After Teneo clients became foundation donors, they were encouraged to may payments to “Bill Clinton, Inc.” The 2011 Band memo refutes claims by the Clintons that the Clinton Foundation provided them no direct benefits. When Hillary Clinton became secretary of state, she “wrested control of USAID and influence over billions in foreign assistance,” according to a 2011 article by the Daily Beast. She appointed Rajiv Shah as USAID administrator; USAID then funded numerous multimillion-dollar “partnerships” with Clinton benefactors. The grants were made in close proximity to payments to the Clinton Foundation. One example is the timing of USAID grants to a charity run by Bill Clinton’s friend Doug Becker. Billionaire Hollywood producer Steve Bing is a longtime Clinton friend and donor. Bing is listed as having donated $10 million to $25 million to the Clinton Foundation. Between 2009 and 2010, Bing’s construction company, Shangri-La Industries LLC, also personally paid Bill Clinton $2.5 million to be an adviser. Not long after Bill Clinton’s for-profit consulting arrangement was approved, Bing requested his first favor. On July 16, 2009, a Shangri-La executive, Zachary Schwartz, asked Band for help with reversing the State Department’s denial of a travel visa to Cuba. Band forwarded the request to Abedin, writing, “Please call zach asap on this… Important.” Abedin responded, “I’ll call zach when we land in India.” Two weeks later, Bing’s team was in Cuba, despite the travel restrictions for Americans. 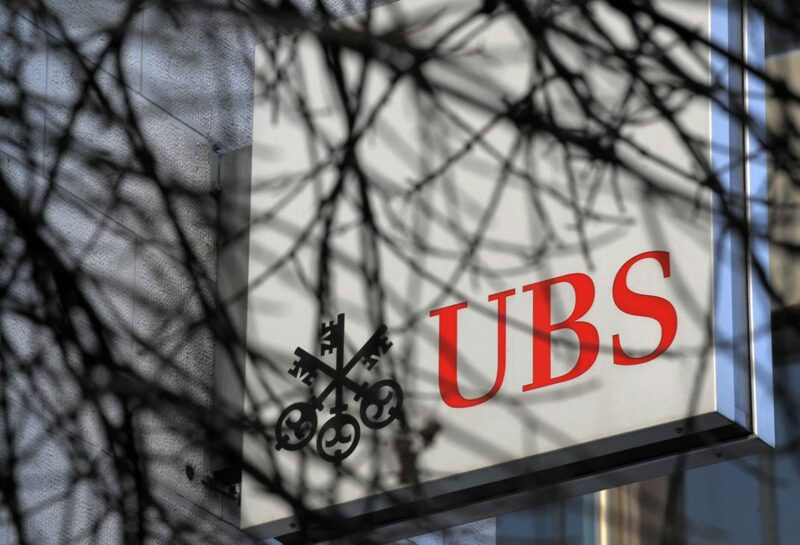 In 2007, Bradley Birkenfeld, a UBS Group executive-turned-whistleblower, revealed that UBS was encouraging its North American division to facilitate offshore transfers to Switzerland. UBS was soon investigated by the FBI and IRS for potentially facilitating massive criminal tax evasion. By 2009, the IRS wanted UBS to turn over the secret accounts of approximately 52,000 Americans. In 2009, longtime Clinton fundraiser and Teneo co-founder Kelly introduced Bill Clinton to UBS executive Bob McCann, an Irishman and longtime client of Kelly’s. “Mr. Kelly subsequently asked Mr. McCann to support the foundation … [and] also encouraged Mr. McCann to invite President Clinton to give several paid speeches, which he has done,” according to a leaked memo drafted by Clinton Foundation official Band. Shortly after Barack Obama’s 2009 inauguration, Secretary Clinton flew to Geneva and met with her Swiss counterpart, Micheline Calmy-Rey, to discuss the UBS crisis. By July 2009, Clinton had fully intervened on UBS’s behalf and negotiated a settlement with the IRS. UBS only had to turn over the details of 4,450 American account holders, instead of the requested 52,000. After Clinton’s mysterious intervention, UBS’s donations and sponsorships to the Clinton Foundation increased substantially. According to The Wall Street Journal, “Total donations by UBS to the Clinton Foundation grew from less than $60,000 through 2008 to a cumulative total of about $600,000 by the end of 2014, according to the foundation and the bank.” Furthermore, UBS sponsored a series of speeches, moderated by McCann, which directly netted Bill Clinton more than $1.5 million. Canadian pipeline company TransCanada first proposed the Keystone XL oil pipeline in 2008. Keystone XL would be transporting petroleum tar sands from Canada to Texas for processing and thus required State Department approval to move forward. TransCanada’s then-largest shareholder, TD Bank, began sponsoring speeches by Bill Clinton just days after Obama appointed Hillary Clinton as secretary of state, paying $525,000 for three speeches. In 2010, Secretary Clinton said she was “inclined” to approve the project, despite the Obama administration’s public opposition. In August 2011, Bill Clinton said, “We should embrace [Keystone XL].” In August 2011, Clinton’s State Department greenlighted the Keystone XL environmental review and stated the project will have “no significant impacts” to most U.S. resources. 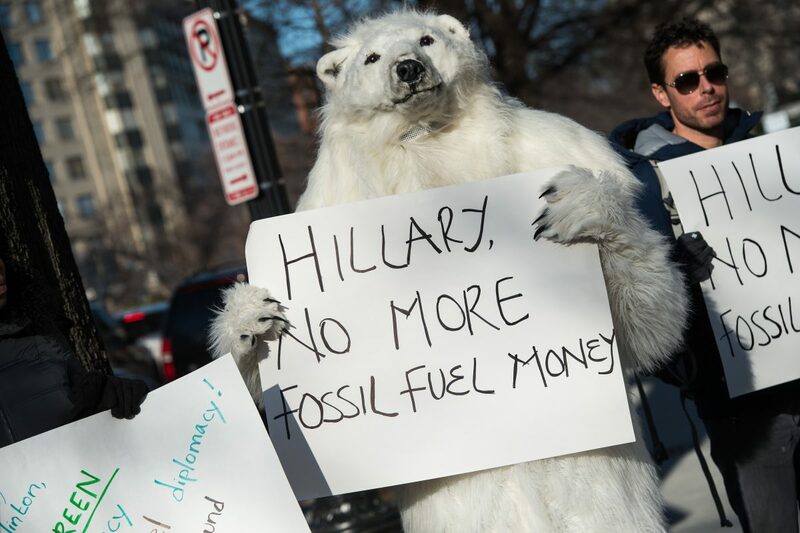 TransCanada lobbyist Giffin has donated between $50,000 and $100,000 to the Clinton Foundation. And TD Bank paid Bill Clinton more than $1.7 million to deliver 10 speeches, while the State Department considered the Keystone XL approval. 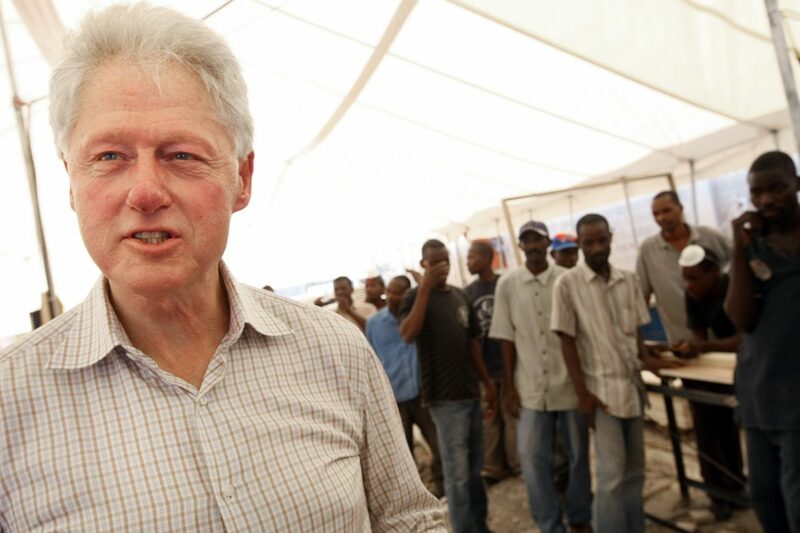 In April 2010, the Clinton State Department established the Interim Haiti Relief Commission (IHRC)—a quasi-governmental entity that coordinated relief efforts. Bill Clinton and Haitian President Jean-Max Bellerive were installed as co-commissioners. The IHRC approved projects that would be funded by either the State Department, USAID, or the Haiti Recovery Fund. The IHRC was Haiti’s second unmitigated disaster; one year after the earthquake, global NGO Oxfam reported that “almost no major reconstruction projects [had] started.” In an article, titled “The King and Queen of Haiti,” Politico reported, “Many of the most notable investments the Clintons helped launch, such as the new Marriott in the capital, have primarily benefited wealthy foreigners.” The four-star luxury Marriott is owned by Clinton mega-donor Denis O’Brien’s Digicel and was one of the first recovery projects the Clinton Foundation facilitated. Hillary Clinton’s brother, Tony Rodham, was a board member of VCS Mining, which received a lucrative gold mining lease—the first issued in Haiti in 50 years. One of the biggest winners in the aftermath of the Haitian earthquake was Digicel, one of the largest telecom companies in the Caribbean. Digicel is owned by Irish billionaire O’Brien, who is a close friend of Bill Clinton and a major foundation donor. After the Haiti earthquake, O’Brien and the Clinton Foundation partnered on rebuilding infrastructure with substantial taxpayer/relief funding. USAID, in partnership with the Bill and Melinda Gates Foundation, provided more than $5 million in taxpayer-funded grants to Digicel. With the post-earthquake USAID funds, Digicel gave Haitians free cell phones and accounts and massively expanded its user base. Digicel then collected fees from the impoverished Haitians for every transaction, making millions of dollars in fees alone. O’Brien has donated between $5 million and $10 million to the Clinton Foundation. 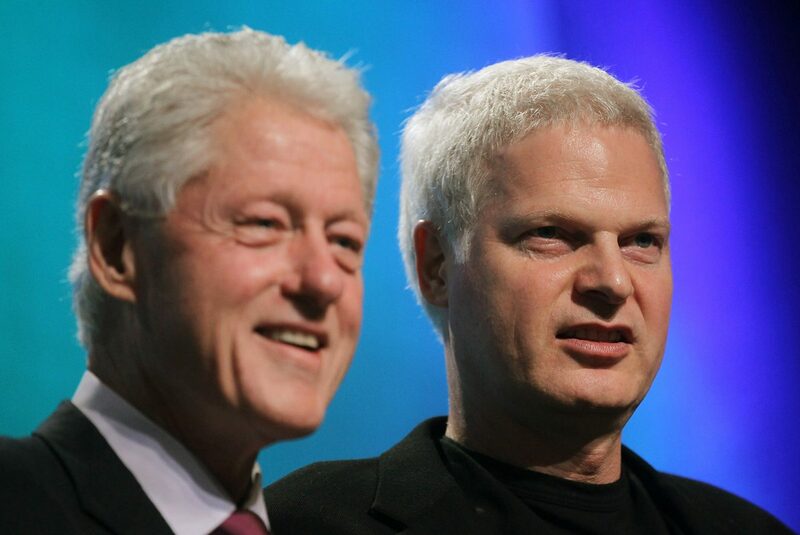 Between 2010 and 2012, O’Brien arranged several lucrative speeches by Bill Clinton in Ireland, as well as a $225,000 Digicel-sponsored speech in Jamaica. The timing of these speeches coincided with major grant awards to Digicel from USAID. As a 94-percent stakeholder in Digicel, O’Brien cashed in $650 million worth of dividends in 2014 alone. According to an analysis by the Center for Economic Policy Research, less than 1 percent of USAID funds ($1.3 billion) went to local Haitian groups and more than 60 percent went to organizations operating inside the Washington Beltway. Four years later, USAID funds were still unaccounted for. Not only did the Clinton State Department and Clinton Foundation bungle relief efforts as Haitians suffered, but Clinton friends and donors were given sweetheart deals. Uranium One was a Canadian mining company whose assets included mines in Utah and Wyoming, amounting to a projected 20 percent of domestic uranium production capacity at the time. The company was acquired in 2010 by Atomredmetzoloto (ARMZ), a fully controlled subsidiary of Russian state-owned nuclear conglomerate Rosatom. The purchase of Uranium One required a review by Obama’s Committee on Foreign Investment in the U.S. (CFIUS), since there were significant national security implications. As secretary of state, Hillary Clinton was obligated to review the sale. As detailed in the book “Clinton Cash,” nine investors linked to Uranium One donated approximately $145 million to the Clinton Foundation in close proximity to the CFIUS review. These investors included one of the Clintons’ largest benefactors, billionaire Canadian mining mogul Frank Giustra, as well as the then-chairman of Uranium One, Ian Telfer. 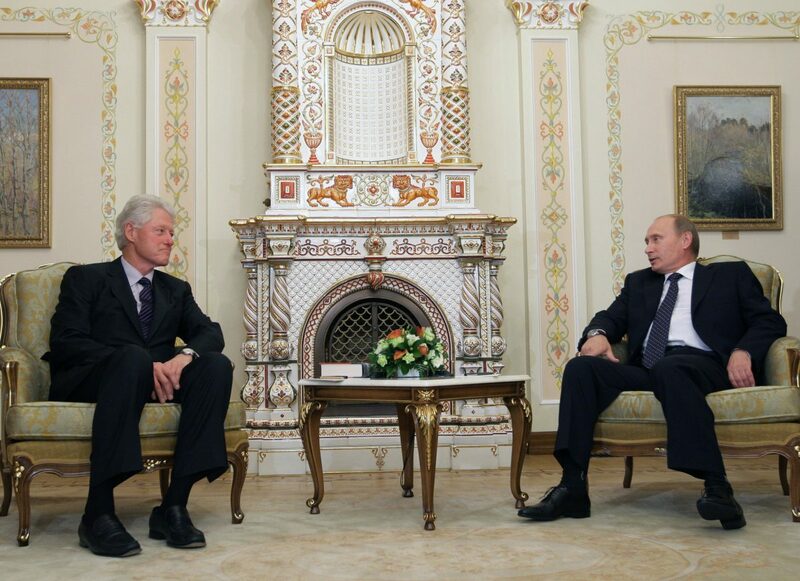 Additionally, in June 2010, Bill Clinton was paid $500,000 by Renaissance Capital—a Kremlin-backed bank that had been promoting Uranium One investment. Bill Clinton’s office also requested permission for him to meet with one of Rosatom’s board members, Arkady Dvorkovich. The speech was reviewed by the Clinton State Department and approved within two days of the request. Dvorkovich attended Clinton’s Moscow speech, and after the speech, Clinton visited Vladimir Putin, who thanked him for speaking. Ted Kassinger is an attorney and resident CFIUS expert at the international law firm O’Melveny & Myers. While Kassinger advised Clinton’s State Department from 2010 to 2013, records indicate he was also advising the Russians on the takeover of Uranium One. Kassinger was specifically identified as the lead “U.S. Counsel” advising ARMZ in an announcement about the successful takeover. Kassinger also repeatedly met with Hillary Clinton’s undersecretary Jose Fernandez in 2010. Kassinger and Fernandez even met directly with Clinton in April 2010, just two months before ARMZ announced its intention to take a controlling stake in Uranium One. In 2015, internal emails sent by John Podesta—who would later become the chairman of Clinton’s presidential campaign—just days before the release of the book “Clinton Cash,” suggest Fernandez was made the fall guy for the CFIUS approval. Less than three weeks later, on April 17, Fernandez emailed Podesta again and expressed willingness “to do all I can to support Secretary Clinton” as The New York Times prepared to release their front-page expose and reached out to Clinton campaign spokesman Brian Fallon. The implication was clear: Fernandez was taking the blame for the Uranium One CFIUS decision. The timing is damning and suggests a quid pro quo: Fernandez took the fall for Uranium One and he received a “very rewarding” board position thanks to Podesta’s recommendation. Besides the State Department, two other notable figures gave their approval to CFIUS for the Uranium One deal: FBI Director Robert Mueller, and Attorney General Eric Holder. While Mueller and Holder didn’t apparently receive millions of dollars from Uranium One investors, they didn’t act to block the Russian nuclear takeover, despite concerning evidence in their hands. 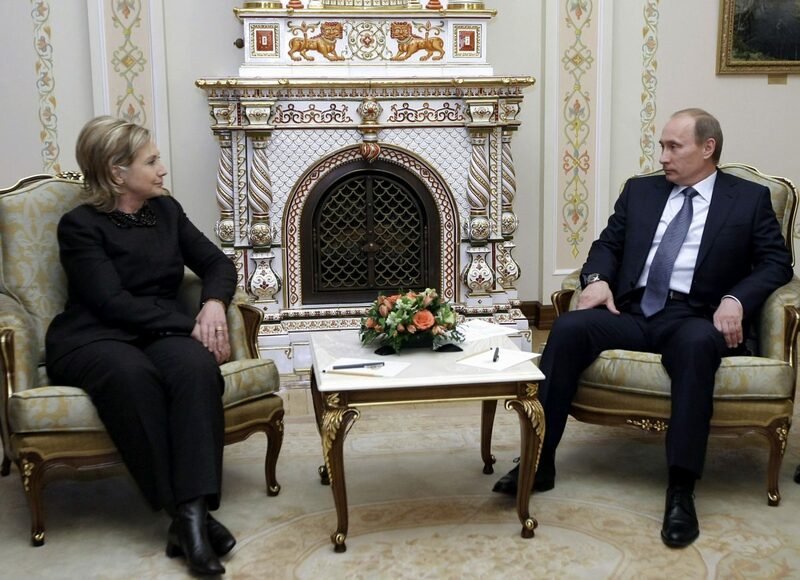 At the time of the Uranium One sale in 2010, the FBI was intimately aware of a Russian espionage scheme and a separate Russian racketeering and bribery scheme targeting the U.S. nuclear industry. “The FBI had gathered substantial evidence that Russian nuclear industry officials were engaged in bribery, kickbacks, extortion and money laundering designed to grow Vladimir Putin’s atomic energy business inside the United States,” The Hill reported in October 2017. The State Department is responsible for approving commercial arms sales to foreign countries, and the secretary of state determines which countries get approved. Hillary Clinton’s State Department approved commercial weapons sales totaling $165 billion to 20 countries that donated to the Clinton Foundation, according to an analysis by International Business Times. Under Hillary Clinton’s direction, the State Department increased weapons sales 143 percent to 16 Clinton Foundation foreign donors—$151 billion in total sales, compared with just over $105 billion for the same time period under the Bush administration. Five countries with notorious human-rights abuses donated large sums to the Clinton Foundation and saw more than 97 percent increases in their State Department-approved weapons deals. In a 2009 cable, Clinton acknowledged, “Qatar’s overall level of [counter terrorism] cooperation with the U.S. is considered the worst in the region.” In 2010, the Clinton State Department criticized Qatar for its human-rights abuses. 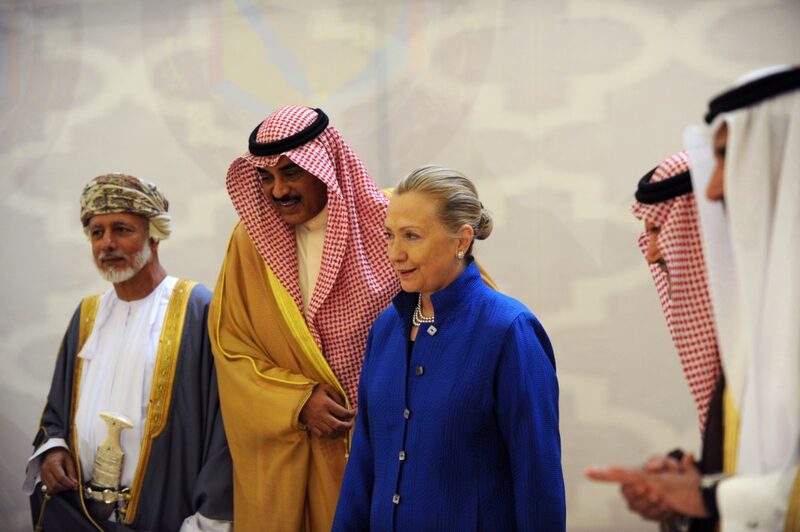 According to leaked emails from 2014, Hillary Clinton acknowledged that Qatar and Saudi Arabia were “providing clandestine financial and logistic support” to the ISIS terrorist group and other radical groups. Nonetheless, during Secretary Clinton’s tenure, the State Department approved $4.3 billion in arms purchase agreements for Qatar—a 14-fold (1,482 percent) increase from her predecessor. Qatar has donated between $1 million and $5 million to the Clinton Foundation, including a controversial $1 million “birthday gift” for Bill Clinton in 2012 while Hillary Clinton was secretary of state. Despite that the foundation was required to disclose large donations from foreign governments, the Clinton Foundation confirmed in 2015 that the $1 million payment wasn’t reviewed by ethics officials. According to a 2009 diplomatic cable, Secretary Clinton knew that entities within the United Arab Emirates supported terrorism. “UAE-based donors have provided financial support to a variety of terrorist groups, including al-Qaeda, the Taliban, and Hamas,” Clinton stated. In 2010, Human Rights Watch reported that the UAE committed atrocious human-rights abuses, including “torture, restrictions on freedoms of expression and association, and violations of women’s rights.” According to Human Rights Watch, the situation worsened each year from 2009 to 2012. Nonetheless, the UAE received a 10-fold increase—one of the largest—in Clinton-approved weapons sales. Sales to the UAE totaled nearly $25 billion during Clinton’s tenure, compared with $2.2 billion during the comparable period under Clinton’s predecessor. The UAE is a major Clinton Foundation donor. The Saudis have a long history with the Clintons and have donated between $10 million and $25 million to the Clinton Foundation, cumulatively. Additionally, a group called Friends of Saudi Arabia has donated between $1 million and $5 million. In 2009, Secretary Clinton lamented the “ongoing challenge to persuade Saudi officials to treat terrorist financing emanating from Saudi Arabia as a strategic priority,” according to a leaked diplomatic cable. Nonetheless, the Saudis received State Department approval in 2011 for a $29 billion deal to acquire Boeing fighter jets that was a “top priority” for Secretary Clinton personally, according to her aide Andrew Shapiro. According to leaked internal department emails, she and her staff reportedly worked behind the scenes to get the Saudi “Christmas present” from Boeing approved. It is unclear why the Crown Prince chose to reach out to the State Department through the Clinton Foundation backchannel. However, the email is a clear indication that the foundation served as a backchannel for donor access to the Clinton State Department. Bill Clinton was reportedly paid $625,000 for speeches sponsored by entities that benefitted from arms-purchase approvals by Secretary Clinton’s State Department. The speeches included a $175,000 keynote address paid for by the Kuwait-America Foundation, hosted at the Kuwaiti ambassador’s house and sponsored in part by Boeing. Kuwait has donated between $5 million and $10 million to the Clinton Foundation and received increased weapons sales during Secretary Clinton’s tenure. In April 2009, Lockheed Martin donated $1 million to the U.S. Institute of Peace to sponsor their Dean Acheson lecture. Months later, Secretary Clinton was selected as the first speaker, sponsored by Lockheed’s contribution. The Chamber of Commerce in Egypt paid Bill Clinton $250,000 to deliver a speech in Cairo in 2010, which has reportedly been linked to Lockheed. The company received two major weapons approvals from the State Department just days before the Cairo speech. Lockheed became a Clinton Foundation donor in 2010, and during that year, the State Department approved 17 arms deals for Lockheed. In 2011, the firm was a primary contractor on a $650 million State Department-approved award to Qatar. Like Boeing, Lockheed hasn’t donated to the Clinton Foundation since Clinton lost the 2016 presidential election. In May 2010, the Russians got a $3.7 billion arms deal with Boeing, approved by the State Department. “This is a shameless pitch for Rosavia … to buy Boeing aircraft,” Hillary Clinton said, while touring a Boeing factory in Moscow. In August 2010, Boeing donated $900,000 to Haiti relief efforts through the Clinton Foundation. Two months later, the Clinton State Department approved a $29 billion sale of fighter jets to Saudi Arabia. Boeing has donated between $1 million and $5 million to the Clinton Foundation, and has sponsored at least two speeches that enriched the Clintons directly. 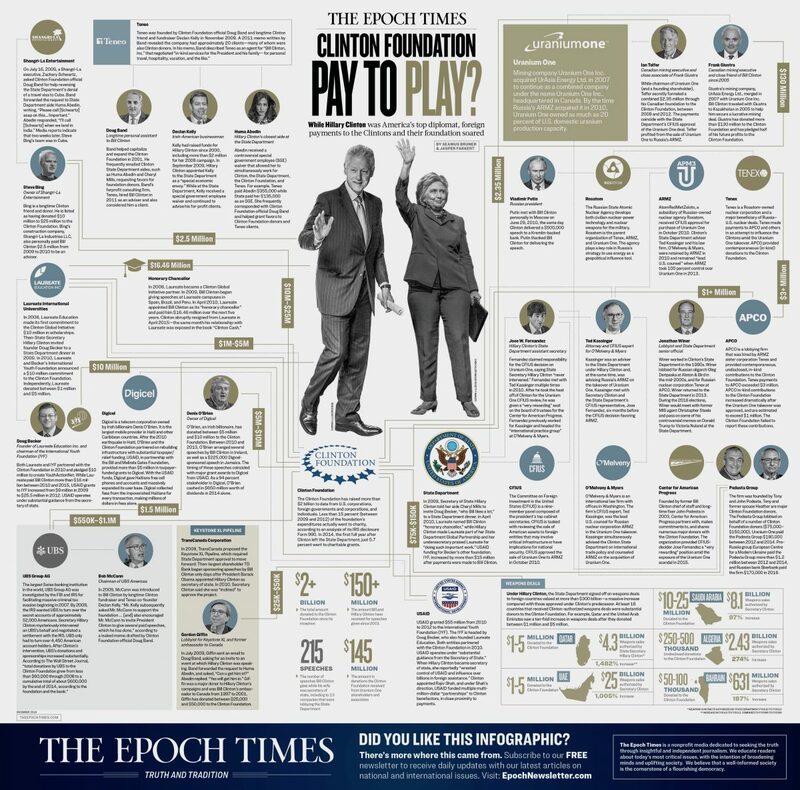 The pattern of payments to the Clintons reveals how intertwined money and power are. When the Clintons had the power to grant political favors, their income and donations skyrocketed. 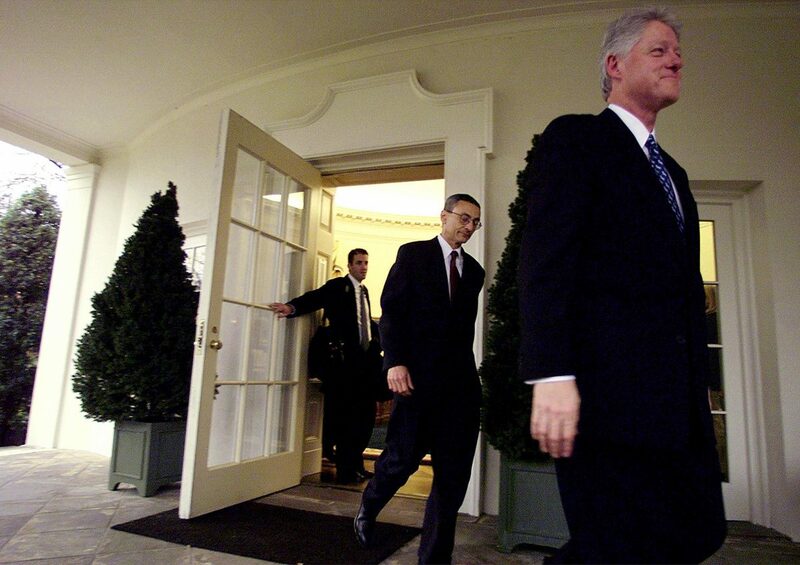 Bill Clinton’s speaking fees tripled during Hillary Clinton’s tenure at the State Department. Almost immediately after Hillary Clinton lost the 2016 election, donations by foreign governments sharply dropped. According to the Clinton Foundation’s 2014 IRS filing, total contributions amounted to $217,832,954. The foundation’s 2017 filing revealed contributions amounting to just $22,843,211. This means support for the Clintons’ global charitable enterprise fell by nearly 90 percent.